Couple of years back, around this same time when Twitter was launched, most of the major search engines have started to think about the idea of ‘real-time’ results and include a ‘freshness’ factor to the results returned for some of the queries that are performed on their search engines. Twitter is both more and less than a search engine, but there are lots of third parties doing search-like things around the Twitter data. Especially because Twitter search seems to be returning real time search results. Real-time searches are more valuable because it lets you know what’s happening right now on any given topic. Companies use it to handle customer services. News junkies use it to follow political events. With this increase in demand for real time searches many new real time search engines like collecta, crowdeye have been launched over the last few months. This new generation of emerging search engines are ready to compete with the big boys to tap into the torrent of tweets, blog postings and online photos that can be captured by cell phones. Below are some of the real-time search engines that allow you to take a deep look as what’s going right now. Collecta – scours the net for the most recent blog posts, news stories, tweets and comments and displays them in a continuous waterfall. It’s a torrent of information to keep track of. Crowdeye – currently a twitter only search engine, it gives you results from tweets and retweets including graphs, charts and relevant third party links. Topsy – lots of stats when you search including the a collection of authors by volume for each topic you are trending. Really like this to find people who are very active around a topic or who are your best retweeters. As the current trend on the web is towards more and more real-time information, the race is on to collect, organize, and filter the data so that people can actually may sense of it. Real-time search is one of the hottest mini Web trend out there right now, promising new ways to help users tease out current information they want from the digital information glut. The ability to seek out what everyone is discussing or looking for in the moment captures the imagination. And as you all know when the news broke that Michael Jackson had died Twitter was able to deliver better relevant results. On the other hand, Google thought MJ died at age 65 in 2007 and sometimes later it was able to show only the “We are Sorry Page”! So I conclude saying that unless Google take actions on this real time search issues(which was at one time a laughable concept), it will be hard for them to with stand their position, so I hope soon Google will overcome this issue. And I can also sense the launches of more real time search engines in the future with this growing demand for it. “There has been much discussion of real-time search and the premium on immediacy of data that has been created primarily by Twitter. We’ve been watching this phenomenon with great interest, and listening carefully to what consumers really want in this space. Today we’re unveiling an initial foray into integrating more real time data into our search results, starting with some of the more prominent and prolific Twitterers from a variety of spheres. This includes Tweets from folks from our own search technology and business sphere like Danny Sullivan or Kara Swisher as well as those from spheres of more general consumer appeal like Al Gore or Ryan Seacrest. So finally the race for the Real Time Search Engines have started to heating up!!! 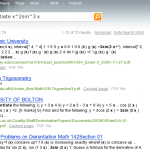 ‹ A List of Cool Links – Bing Related!!! Great list – however you missed one great search engine – surchur.com 🙂 It is crucial to know what is happening right now on the internet, whether it is blogs, twitter, photos or news and it is quite efficient to have all of these sources brought together on one page. Yes, you’re absolutely right Sivarajan. I too agree with your post. Nowadays people search for the updated information. 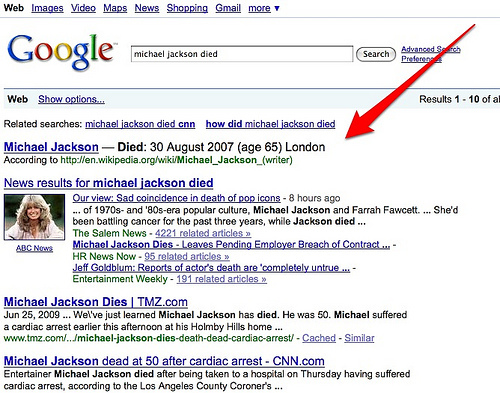 I would like you all to know, that this article on the Google mistake on the search of Michael Jacksons death is incorrect. There was a man by the name of Michael Jackson, who was a writer, who died on the 30th of August 2007 in London. So, Google was actually correct. If you don’t believe me, please go to http://www.wikipedia.org and type in “Michael Jackson (writer)”. All of the information of Michael Jackson the writer will come up. @Ruby First of all you should understand the article before commenting on it. I think you have totally misunderstood my point and so I suggest you to go through the article once again. I agree. There is really a need of Real-time Searchers. Otherwise, it will be hard to do a research. This helps the users become interested in the current information. Great goods from you, man. I’ve understand your stuff previous to and you’re just too excellent. I really like what you’ve acquired here, really like what you are stating and the way in which you say it. You make it entertaining and you still take care of to keep it smart. I can’t wait to read far more from you. This is really a wonderful website. 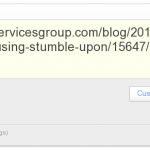 1 Pings/Trackbacks for "On Growing Demand for Real Time Search Engines"